We rescue food from over 2,500 businesses. 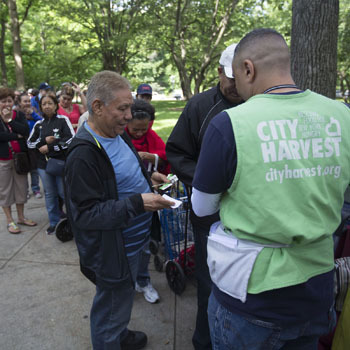 Our goal is to source as much excess food as we can and put it to good use feeding our hungry neighbors. 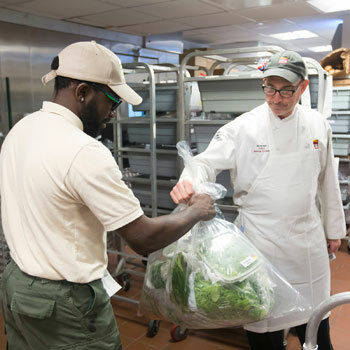 We rescue produce from local farmers, excess ingredients and prepared meals from restaurants, pre-packaged sandwiches and salads from cafes, high-quality packaged goods from wholesalers, and meat and dairy from the supermarkets in your neighborhood. We procure some of our national food donations through membership in Feeding America. See some of our most generous donors below. 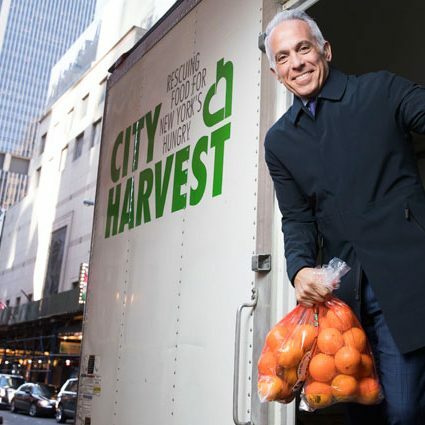 Over 70 of New York City’s top chefs and culinary experts serve on City Harvest’s Food Council.